Jamalabad fort was erected by the legendary Tiger of Mysore, Tipu Sultan. Entrenched in the hills of Kundremukh, this fortified structure was built 1700 ft above sea level, out of a massive granite mount. 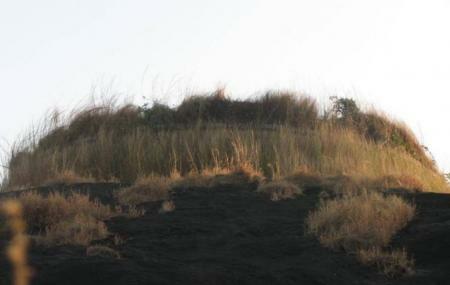 This fort can be accessed via a narrow path of 1876 steps leading to the base of the fort. This intimidating path to this historic fortress inspires the adventurer trekkers to come all the way to Jamala fort. Also, visit the popular attractions in the city by following Chikmagalur itinerary 2 days. Overnight stay is not allowed. Ask the entry fee you need to pay at the check post at the base of the hill. Entry to the fort is restricted between 6am to 6pm. By car from Chikmagalur till the base of the hill. How popular is Jamalabad Fort? People normally club together Manjusha Museum and Gangamoola Hill while planning their visit to Jamalabad Fort.